NAAE award applications are now available. Make sure to submit yours by May 15th! Check out the new Recrutiment, Retention & Recognition webpage, learn about BriefCASE opportunities, and so much more in the March edition of News & Views! The official submission links for the 2019 NAAE Awards are NOW AVAILABLE. Click here to begin your award application process and make sure to submit your application by May 15th! Are you looking for a new kind of professional development? Check out this summer's NAAE Virtual Book Club! Make sure to register by May 31st! Follow this link for more information. The National Teach Ag Campaign is seeking the nation’s most outstanding agricultural education majors to represent the profession as National Teach Ag Ambassadors at the 2019 National FFA Convention & Expo, October 27 to November 1 in Indianapolis, IN, and throughout the year at the state level. Click here for more information and to apply. NAAE will pay the registration fee for one NAAE member per state to attend the NPS. Click here for more information and to register. Join other agriculture teachers and professionals to learn more about creating an inclusive classroom environment for students on this webinar series. The webinar will occur on the second Wednesday of each month at 3 p.m. CST / 4 p.m. EST and last 60-90 minutes. *Titles adopted from University of Minnesota Office for Equity and Diversity. The webinar is open to anyone who wants to participate and would benefit from these conversations. For more information, please visit z.umn.edu/AgEdForAll or contact Brandon Roiger at broiger@umn.edu or Jonathan Seaman at jts250@psu.edu. Presented by Zoetis, the Veterinarians on Call YouTube channel features real-life vets doing a variety of tasks. This week, Dr. Wilson oversees vaccinations of birds raised by the second largest egg producer in the United States. Click here to watch the video. “Down on the Farm” could refer to the 1994 Tim McGraw hit song. It could also refer to the 200,000 boys during World War I who volunteered to serve in the U.S. Boys Working Reserve and go to work “Down on the Farm.” Follow this link to read more. Watch as FFA member Denisha Washington from Seneca FFA in Louisville, Ky., shows us her supervised agricultural experience working at a local pet store. She gives us a tour of the pet store, shows us the types of animals she works with, and explains her daily tasks. You can also catch other SAE videos and check out links to related lesson plans and student activity sheets. Teachers: Check out the latest FFA New HorizonsTeaching Guide. The spring edition is now available and includes ready-to-print, standards-aligned activities, discussion questions, as well as supervised agricultural experience (SAE) and FFA tips. You can also access past teaching guides. Be sure to visit our news webpage on FFA.org to flip through the spring issue of FFA New Horizons and catch up on the latest FFA stories. Twenty-seven local FFA Alumni and Supporters chapters are receiving a total $42,550 in grant funding this month through Give Back to Your Roots grants sponsored by Nutrien Ag Solutions and Legacy grants sponsored by Tractor Supply Company. For a complete list of March 2019 grant recipients and to apply for the next round of grants due June 1, visit www.ffa.org/alumnigrants. The U.S. Department of Agriculture (USDA) announced the opening of the 2019 scholarship application cycle for the USDA/1890 National Scholars Program. The program aims to increase the number of minority students studying agriculture, food, natural resource sciences, and other agriculture-related disciplines. The program is available through the USDA Office of Partnerships and Public Engagement (OPPE). Click here to read more. Whether you’re a seasoned advocate or a first-timer to Capitol Hill, now more than ever is an essential time to engage! With several new Members of Congress, there are significant opportunities to build on the momentum of recent CTE policy advancements at National Policy Seminar this March 25–27 in Arlington, Virginia, with focused, free pre-conference sessions on March 24. Devastating floods are affecting lives, homes, and agriculture nationally and internationally. Friday, March 22, 2019: Floods affect lives, homes, and agriculture; tariffs and trade issues concern farmers; and naked mole rats are cute, cuddly, and aggressive. These and many more ag/science stories in this week’s edition. Friday Notes is the weekly online newsletter from The Council for Agricultural Science and Technology (CAST). Take a look back at the past year in agricultural education. Hear from our Executive Director, see our award winners, and get a snapshot of the impact our current programs and initiatives have made. Click here to view the annual report. Establish positive relationships among preservice agricultural education majors and the Jr. MANRRS chapter members. Plan, create, and deliver agriculture-based content to Jr. MANRRS members through innovative and engaging formats. Practice teaching and lesson execution. Landscape Design, Installation, and Management engages students with practical information and a highly visual approach. Written by trusted educators who have hands-on experience in the field, the text methodically develops an understanding of Green Industry practices, safety, design principles, design processes, producing and selecting plants, the business side of landscaping, and landscape installation and maintenance. To help guide students toward satisfying career choices, diverse Green Industry jobs are highlighted in Career Connections. The text and its support package provide hands-on activities and worksheets to help students learn by doing. Special attention is given to the requirements of state and national landscape competitions and events. Learn more here. Presented by Zoetis, the Veterinarians on Call YouTube channel features real-life vets doing a variety of tasks. This week, Dr. Lindsey Peck gives us a tour of her calf barn and explains how she cares for all the baby cows. Click here to watch the video. Soon after the FFA was established there was a desire to establish FFA chapters in schools located on Indian reservations. Agriculture was taught in Indian reservations schools but there was no student organization. Follow this link to read more. Registration for the Washington Leadership Conference (WLC) is now live. Visit the WLC webpage and use your FFA login to see availability by week. For advisors and members only able to attend a week that is currently sold out, we do maintain a waitlist. To be added to the waitlist, email wlc@ffa.org and provide your contact information, as well as the number of registrations desired. To learn more about WLC, watch this video. Teachers: Check out the latest FFA New HorizonsTeaching Guide. The spring edition is now available and includes ready-to-print, standards-aligned activities, discussion questions as well as supervised agricultural experience (SAE) and FFA tips. You can also access past teaching guides. Be sure to visit our news webpage on FFA.org to flip through the spring issue of FFA New Horizons and catch up on the latest FFA stories. Ag Day just passed, but we celebrate farmers and food production all year long. Friday, March 15, 2019: Ag Day celebrations continue all year long, data sharing enhances ag research, and gene-edited salmon hits the market. Drunk mosquitoes, territorial owls, and many more ag/science stories in this week’s edition. The National FFA Foundation has partnered with the National Association of Agricultural Educators (NAAE) to provide teachers with a week-long lesson focused on agriculture conservation practices with support from Midwest Row Crop Collaborative (MRCC) members. These agricultural education instructional materials and programmatic deployment comes after a larger marketing campaign in grocery stores focused on connecting consumer purchases to the support of farmers and agricultural education. Click here to access the free instructional materials. The application details, rubrics, and instructions for the 2019 NAAE awards are now updated and available on the NAAE website. You are welcome to access your application(s) and work on uploading your information. The official submission links are NOW AVAILABLE. Click here to begin your award application process. Are you in need of financial support to attend a CASE Institute this summer? Through the generous support from Farm Credit East, partial CASE Institute scholarships are available for teachers from Connecticut, Maine, Massachusetts, New Hampshire, New Jersey, New York and Rhode Island. Please note, this excludes Clinton and Essex counties in New York and Cheshire, Coos, Grafton and Sullivan counties in New Hampshire. For more information or to complete the Farm Credit East CASE Institute Scholarship Application, please click this link. The deadline to apply is March 15, 2019. Plan, create and deliver agriculture-based content to Jr. MANRRS members through innovative and engaging formats. Please join us for a FREE WEBINAR on March 13 or 14! The National Association of Agricultural Educators (NAAE), in partnership with The FOOD EVOLUTION Educational Outreach Coalition, invites you to an exclusive, free, online webinar. Together we hope to inspire teachers to use the Food Evolution film as a tool to engage their students in using scientific practices to guide their decision-making. Our hour-long webinar will introduce attendees to the film and its accompanying Educational Resource Guide. We will discuss the film and its classroom applications, model an activity from the guide, and allow time for Q&A with a member of the FOOD EVOLUTION film team. Teachers who attend the entire webinar will receive a FREE copy of the film and the Guide, and a certificate for 1 hour of professional development to submit to their district or administration. Click here for more information. Presented by Zoetis, the Veterinarians on Call YouTube channel features real-life vets doing a variety of tasks. This week, Dr. Wilson, veterinarian at Rose Acre Farms in Indiana, examines the flocks in his care by handling some of the birds. Click here to view the video. The last act of the NFA-FFA merger occurred in Kansas City, Missouri on October 13, 1965. There was a dramatic and emotional ceremony during the opening session of the National FFA Convention to recognize the joining of the two groups. Click here to read more. National Ag Week is here! 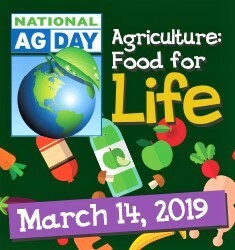 FFA chapters across the country will celebrate agriculture, food and natural resources by participating in activities and sharing their #AgDay19 stories. We want to know how you are celebrating. Submit your activity for a chance to win a pizza party with a national officer and be named Ag Week’s #GreatestAdvocate. Registration for the Washington Leadership Conference (WLC) is now live. Visit the WLC webpage and use your FFA login to see availability by week. For advisors and members only able to attend a week that is currently sold out, we do maintain a waitlist. To be added to the waitlist, email wlc@ffa.org and provide your contact information as well as the number of registrations desired. To learn more about WLC, watch this video. Only one week remains to register for the alumni and supporters agricultural travel program to Germany and the Netherlands. The registration deadline is March 15, and tour dates are July 1-10, 2019. Contact Agrotours to reserve your seat at info@agrotours.com or 1-888-224-8687. Want to network while learning more about starting or developing an alumni and supporters chapter? Attend one of our free regional development conferences. Find locations, agendas and more at FFA.org/gotordc. The next conference will be held in Prescott Valley, Ariz., on March 29-30 with registration closing on March 17. You’re in luck! If you missed the deadline to register for the FFA Alumni and Supporter agricultural travel program to Germany and The Netherlands, it has been extended to March 15! The tour dates are July 1-10, 2019, and highlights include Royal FloraHolland; an Amsterdam canal cruise and visit inside the Anne Frank House; a tour of the John Deere factory in Mannheim; and Kinderdijk, a world heritage site of Dutch windmills. Contact Agrotours to reserve your seat at info@agrotours.com or call 1-888-224-8687. Want to learn more about starting or developing an alumni and supporters chapter? Attend one of our free regional development conferences! Find locations, agendas and more at www.ffa.org/gotordc. The next conference will be held in Prescott Valley, Arizona on March 29-30 with registration closing on March 17. 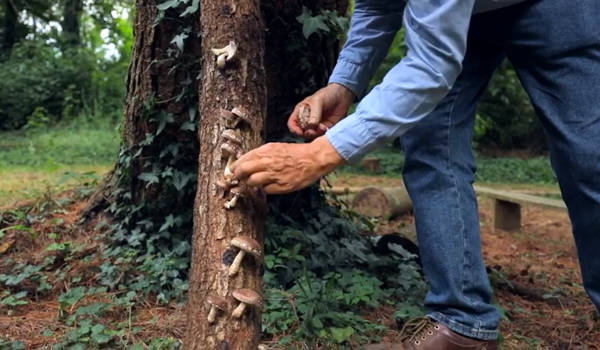 A UK-based farmer created a forest made up of 500 edible plants. Friday, March 8, 2019: Today, we celebrate #WomenInAg, examine college recruitment in rural schools, and learn about a new “bean-nut” butter. A twirling turtle, an edible forest, and a “lunar library”—these and many more ag/science stories in this week’s edition. Friday Notes is the weekly online newsletter from The Council for Agricultural Science and Technology. Are you in need of financial support to attend a CASE Institute this summer? Through the generous support from Farm Credit East, partial CASE Institutes scholarships are available for teachers from Connecticut, Maine, Massachusetts, New Hampshire, New Jersey, New York and Rhode Island. Please note, this excludes Clinton and Essex counties in New York and Cheshire, Coos, Grafton and Sullivan counties in New Hampshire. The 1871 Lewis Carroll book Through the Looking Glasswas a sequel to Alice’s Adventures in Wonderland. In Through the Looking Glass, Alice again enters a fairy tale world, this time by climbing through a mirror into the world that she can see beyond the mirror. Follow this link to read more. As a reminder, Washington Leadership Conference (WLC) registration opens Tuesday, March 5, at 6 p.m. ET. Advisors and members are required to register using their FFA logins. For details on the program—including availability, pricing and a registration webinar—visit the WLC webpage. Email questions to wlc@ffa.org. National Ag Week is just around the corner! Every year, FFA celebrates the abundance provided by American agriculture. This year on March 10-16, chapters across the country will raise awareness about food and agriculture within their schools and communities. Are you ready to join the fun? Check out our new Ag Week Program and Activities webpage for ideas on how to get your chapter involved. And, don’t forget to tell us all about your activities—one chapter will be named the Greatest Advocate and win a pizza party with a National FFA Officer. Visit the Ag Week webpage for more details. Check out the newest supervised agricultural experience (SAE) videos featuring FFA members from Seneca FFA in Louisville, Ky. Highlighted SAEs range from working at the Louisville Zoo to tending to animals in a vet clinic to learning about sports turf management at the Louisville Bats stadium. 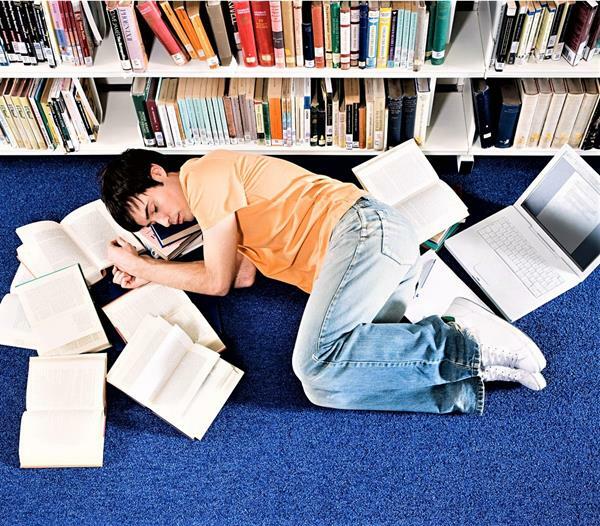 To read about college students coping with high textbook costs and multiple jobs, check out the final two links in this week’s newsletter. 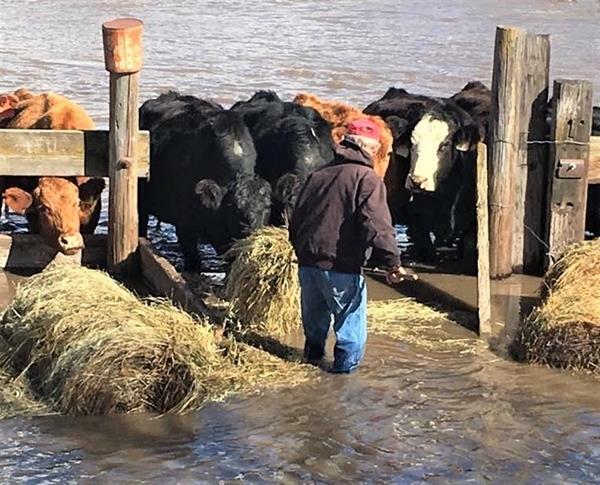 Friday, March 1, 2019: Water issues are center stage, the WTO makes a trade ruling about ag, and science students get a project accepted by the International Space Station. A clever octopus, a huge bee, and a snake on a plane—these and many more ag/science stories in this week’s edition.